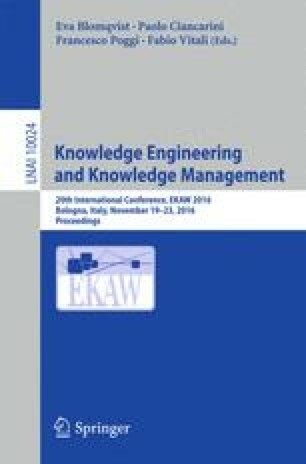 This paper deals with the problem of maintenance of semantic annotations produced based on domain ontologies. Many annotated texts have been produced and made available to end-users. If not reviewed regularly, the quality of these annotations tends to decrease over time due to the evolution of the domain ontologies. The quality of these annotations is critical for tools that exploit them (e.g., search engines and decision support systems) and need to ensure an acceptable level of performance. Although the recent advances for ontology-based annotation systems to annotate new documents, the maintenance of existing annotations remains under studied. In this work we present an analysis of the impact of ontology evolution on existing annotations. To do so, we used two well-known annotators to generate more than 66 million annotations from a pre-selected set of 5000 biomedical journal articles and standard ontologies covering a period ranging from 2004 to 2016. We highlight the correlation between changes in the ontologies and changes in the annotations and we discuss the necessity to improve existing annotation formalisms in order to include elements required to support (semi-) automatic annotation maintenance mechanisms. This work is supported by the National Research Fund (FNR) of Luxembourg and Deutsche Forschungsgemeinschaft (DFG) under the ELISA research project.